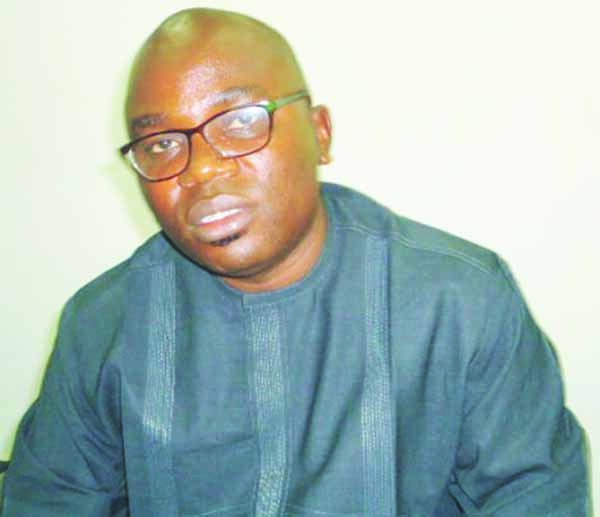 Enyinnaya Appolos is the Chief Press Secretary (CPS) to Governor Okezie Ikpeazu of Abia state. In this interview, he spoke on what his boss is doing to turn things around positively in the state. state. It’s been two years of challenges and experience, it’s not been easy, but it is been fulfilling and rewarding. Can you share some of challenges with us? Yes, if you talk about the challenges, if you remember when this government started in 2015, we didn’t know there was going to be anything called recession, we didn’t know that the country was going to go into economic recession. But that apparently inspired the governor . The first policy of this government was to cut down his salary and his allowance and that of every appointed aide in the government, by 50 percent. Whatever the governor is getting today as his salary is half of what it is supposed to be. As common and as ordinary as I am, whatever I am getting today as salary in this office as CPS is 50 percent of what it is supposed to be. The decision was informed by the need to save money so that government can do more for the people. During the campaigns, the governor made promises and one of the major promises he made was that he was going to develop Abia from Aba. The governor knew then that before long, Nigeria would no longer depend on oil as the main source of her revenue and if it becomes so, what’s going to be the fate of Abia that is not even a major oil producing state. This made us to start thinking about areas of our strength, what we have that other states do not have and we came to realise that we have Aba, which no other state in Nigeria has. The governor is determined to make Aba work. You spoke about the governor cutting his salary and that of his aides by half, but there is this insinuation in some quarters that he upped his security vote. What’s your reaction? The issue of security vote is one thing no governor or any state chief executive has ever made known to the public. Even as I am, I don’t know what the security vote of the governor is. But I can tell and assure you that the governor that I know who took the pain of brining down his salary by 50 percent, will not even dare to increase his security vote. Last year, the governor flagged off the reconstruction of Enyimba hotels, but till date , there is nothing happening on the site. What’s the problem? A past government in the state sold Enyimba hotels to the Aba Chamber of Commerce, Mines and Agriculture (ACCIMA), so it is no longer the property of the state. What happened was that this government was making moves to reclaim that place, but hurriedly, ACCIMA people said they were already in touch with Swiss International who was coming to build the place. They came to the governor and said that everything was almost ready. It was not actually the state government that went to do the refurbishing and remodelling of that hotel, but ACCIMA. The governor was only invited to participate. What is the state government doing to checkmate insecurity in the state ? We all know that the issue of security is a challenge to governments the world over; it is not peculiar to us. I read the other day that a Divisional Police Officer (DPO) was kidnapped somewhere in Lagos, imagine when a DPO is kidnapped. We are not trying to compare our case with others, but like I said, we are doing everything to checkmate this. The government has given all kinds of support to the security agencies in the state to do their work effectively. Recently, the governor was at Zone 9 headquarters here in Umuahia where he took a tour of their facility. It was during the tour he knew the headquarters was in a rented apartment. He has promised them that the permanent site will be ready before the end of this year. Recently, the governor of Imo State said about three governors in the South East will be joining the ruling APC, it was rumoured that your principal would be one of them, could this be true? Well, when the governor of Imo State said that, he never mentioned any governor. So, since he didn’t mention which and which governor from the South East will join them, we also think we are not mentioned, so, why should we be responding to that. But that’s not to say that Gov. Ikpeazu is leaving the PDP. Of course when PDP governors met with the former president of Nigeria to resolve the issue of crisis in the party, he was there, so, he’s still in PDP.